WordPress 5.0 was released today after over a year of development, it is a MAJOR release that includes a Drastic change in its Page and Post Editor, Gutenberg. First let me say, the overall changes are for the better. The ones that might have issues with these changes are those that have OLD Templates or Custom Templates that were created (custom coded) for them and it has been over a year since you had them custom created. 2) SIMPLY Add the “Classic Editor” plugin to your WordPress site and you can use it instead of Gutenberg until late 2021. Once you test your site with this plugin, you will want to delete the staging site for security reasons (just open a Support Ticket and we will be happy to delete it for you). 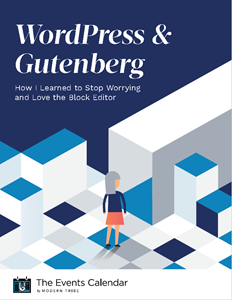 Resources for you – I have provided two Resources for you a Video Created by Adam at WPCrafter created back in August 2018 and a PDF regarding what Gutenberg is and how to use it. Download below. I think you will find both very useful. The PDF is showing the components of Gutenberg Editor. It will be invaluable tool as you work with Gutenberg for the first time. One last item, our friends over at Brainstorm Force have created a great addon plugin to enhance the capabilities of the Gutenberg editor. Its called Ultimate Addons for Gutenberg encourage you to install.